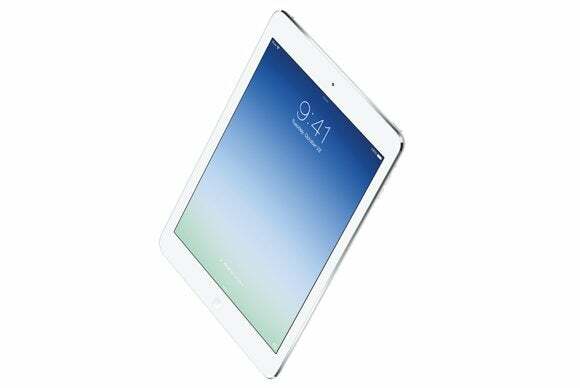 Apple is reportedly planning to launch a 12.9-inch version of the iconic iPad tablet sometime in early 2015. A larger iPad could be a more effective tool for mobile business users, but only if Apple also addresses a few other issues. A bigger iPad makes sense on a few levels. Samsung, Apple’s chief rival in mobile devices, already offers a larger tablet. And Microsoft recently bumped its Surface Pro tablet from 9.7 inches to 12.2 inches. Smaller tablets like the iPad Mini or the Google Nexus 7 fill a need, but when it comes to real-world productivity, bigger is better. A larger iPad also seems logical given Apple’s new partnership with IBM to target enterprise customers. If the rumor is true, though, it isn’t a given that it will be a hit. First of all, the iPad is already priced at the upper end of the acceptable range for a tablet. Customers have to struggle with whether to spend $500-plus on an iPad or save a couple hundred dollars by choosing a Samsung Galaxy Tab 4 10.1. If a 12.9-inch iPad starts at $700 or more, it will find itself competing more with devices like a Surface Pro 3 or even its cousin the MacBook Air, and it doesn’t stack up that well against those devices. The iPad is great, but it can’t run the traditional software most business users rely on (unless the software is streamed from a server or virtualized in some way). To be a true business productivity tool, a larger 12.9-inch iPad should also have a full-size keyboard. The onscreen keyboard, though usable, takes up half of the already limited display real estate. There are many wireless keyboards designed to work with an iPad, but most are compact and still hobble users. When Apple rolls out iOS 8, it will supposedly include the ability to split the screen and work with multiple apps side by side. That will be key for refashioning the iPad as a productivity tool. Aside from split-screen multitasking, though, the iPad also needs multiple user logins so that different users can access just the apps and data they’re authorized to. If Apple launches a larger iPad without addressing the issues I’ve described here, it almost will certainly fail. It will be too large and expensive to succeed in the consumer market, too limited in capabilities to be productive in a business environment and will end up serving neither.